Jeralyn + Ryan first contacted me asking to shoot their wedding. Unfortunately the date was booked... however, these two didn't stop there. 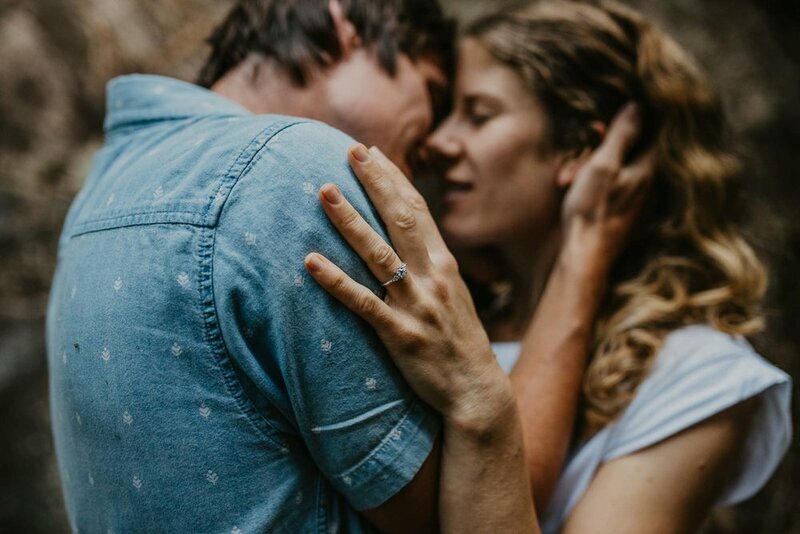 They made sure I would be able to capture their love by doing an engagement shoot. I'm so glad I could help these two out! It was an engagement shoot on another level. Whenever a creek or waterfall is involved I make sure the couple have a spare change of cloths. You're not coming on an engagement shoot at Stoney Creek to stay dry... There are endless photo ops in the water! Thanks to Jeralyn + Ryan for the super amazeballs review xo I will never be part the Backstreet Boys! "We loved our photo shoot with Jason -he has this amazing gift of making you feel right at ease whilst capturing the emotion and mood of the moment. We are so happy with our photos and just bummed that he is unavailable for our wedding. Definitely worth checking out if you want a modern photographer with personality and experience with no backstreet boy poses in sight!!"